After a day full of site visits and meetings, I did not see myself cooling my heels in an obscure hotel in the middle of nowhere, an apt description of Electronic City in Bangalore. I took the opportunity to ride with someone into town and found myself at that familiar intersection between M G Road and Brigade Road. Right next to me was the Cauvery Emporium where as a child I remember buying Mysore Sandal Soap with my grandmother and staring at the bronze statues and silk carpets that my uncle Gopal would sometimes buy (he was passionate about these and they appeared super expensive to us). 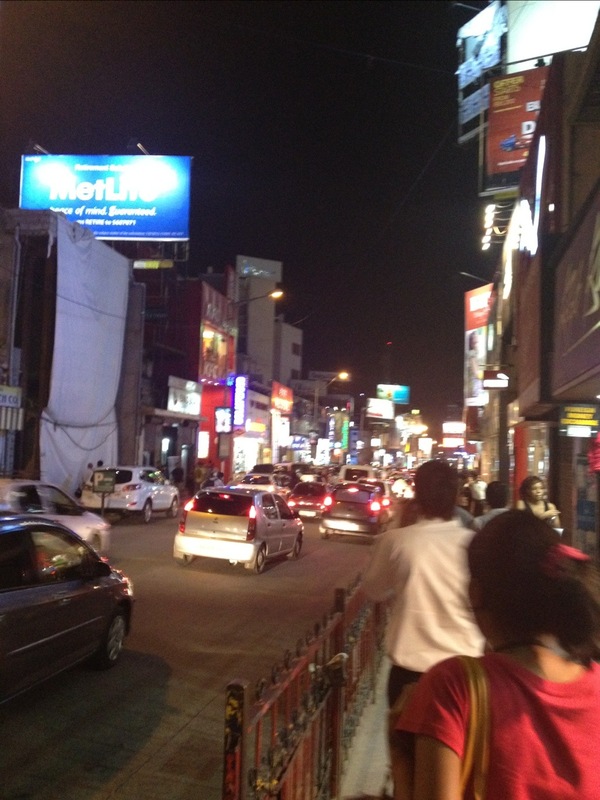 I decided, for the sake of nostalgia, to walk down M G Road. It was about eight in the evening and the stretch that used to be the heart of the city with people jostling for space was a deserted, sad place with no pavements to speak of, a clattering ugly overhead Metro line and lots of traffic. Even after several malls came up in the city, this used to be a vibrant space. The metro seems to have sucked whatever life it had out and I was sorely disappointed. Brigade Road was more like what it used to be, though it also seems to have relinquished it’s status as a prime shopping location. Even so, I enjoyed watching the passers by and marvelled at the wonderful cosmopolitan mix this city now is and the sheer feeling of youth and casual confidence here as compared to say Connaught Place in Delhi. A good meal later, we (my colleague Nipesh did his own city trawl in the meantime) topped off a the evening with a small adventure we greatly enjoyed- we yapped away while riding in a City bus to Electronic City and then savoured a long walk to our hotel in dark deserted but beautifully tree lined streets escorted by a street dog! 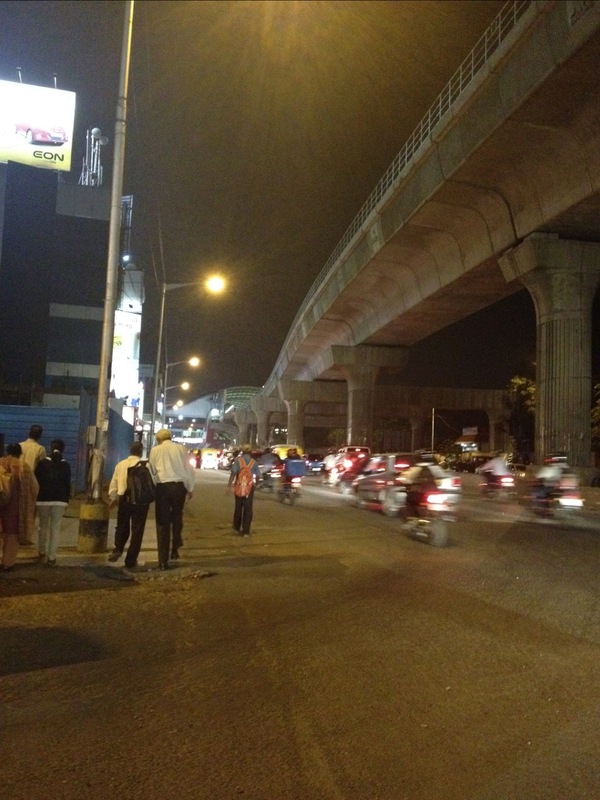 Images below: The overhead metro has ruined the heart of Bangalore, followed by two shots of Brigade road at night. 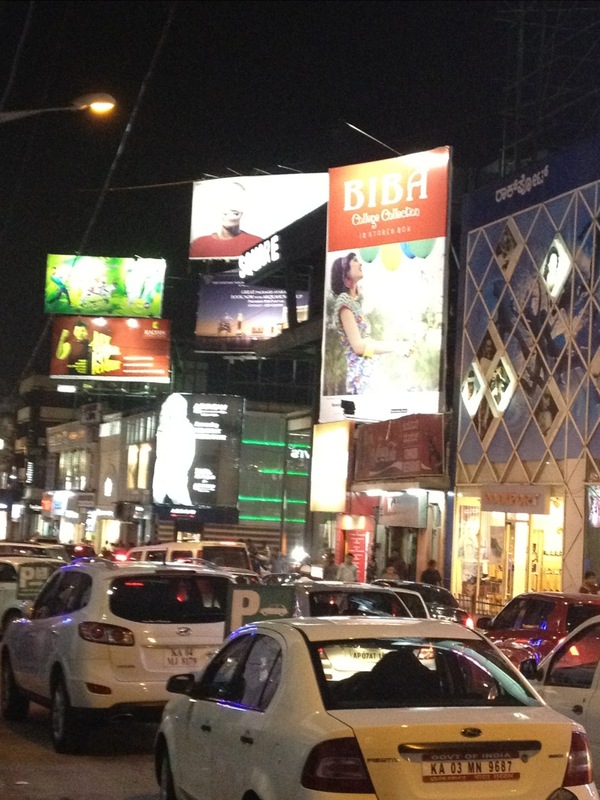 Posted on May 29, 2012, in Travel & Experiences and tagged Bangalore, change, public space, quality, street. Bookmark the permalink. Leave a comment.